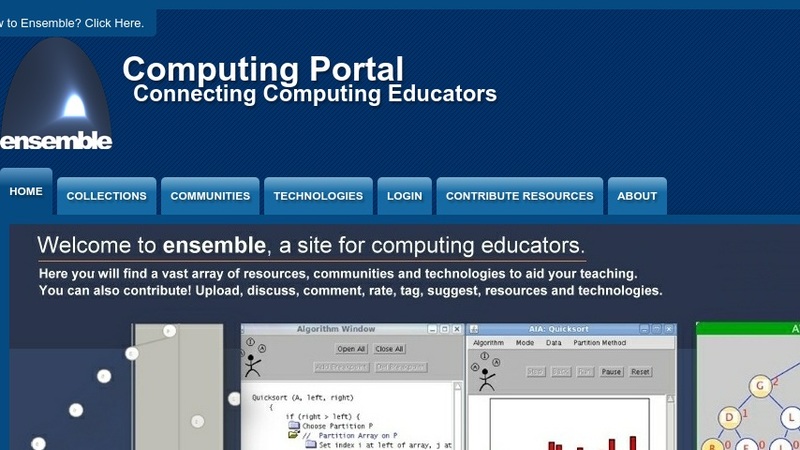 Ensemble is a new NSF NSDL Pathways project working to establish a national, distributed digital library for computing education. Our project is building a distributed portal providing access to a broad range of existing educational resources for computing while preserving the collections and their associated curation processes. We want to encourage contribution, use, reuse, review and evaluation of educational materials at multiple levels of granularity and we seek to support the full range of computing education communities including computer science, computer engineering, software engineering, information science, information systems and information technology as well as other areas often called "computing + X" or 'X informatics."